iTunes Store and Google Play are the two main and largest digital media store in the world. They seems to break even in the market of digital media. Maybe this is why people ask the Yahoo Question: Google Play or iTunes Store? And why? From the answers under the question, we can see that people choose iTunes Store or Google Play mostly depending on whether their mobile devices are based on iOS or Android. But it is a misunderstanding that iTunes Store are designed for iOS devices and Google Play for Android devices. So, what is the correct and true difference between them? Let me explain that in several aspects including platform. Generally, iTunes Store works on all iOS devices. But what people often neglect is that iTunes Store can also be installed on both Mac and Windows computers while Google Play cannot. Google Play does work on Android devices. However, not all Android devices have access to Google Play. For example, Amazon Kindle Fire does not provide access to Google Play, and instead use their manufacturer's own mobile content distribution service. And Google Play, unlike iTunes Store, has several independent services with their separate applications, which are Google Play Music, Google Play Books, Google Play Newsstand, Google Play Movies & TV, and Google Play Games. Among them, Google Play Music, Google Play Movies & TV and Google Play Books can also operate on iOS devices besides Android devices. Both iTunes Store and Google Play sell music, movies, TV shows and apps. The unique products iTunes Store sells are audiobooks, podcast, and music videos. Google Play differentiate itself from iTunes Store in selling ebooks, subscriptions to magazines, web feeds and server-generated topical feeds, devices including Nexus, Chromebooks, Google-branded hardware and accessories. The comparable is what both of them sell. iTunes Store surpasses Google Play in music, movies and TV shows while in apps quantity, they cannot exceed each other. The incomparable can also give us a hint of the storage capacity of the two media store. For example, audiobooks in iTunes Store amounts to 20,000+ and podcast to more than one million. And Google Play Books is the world's largest eBookstore with over 5 million titles and Play Newsstand features about 1,900 free and paid publications. Take music as an example. Most of the individual songs were all sold for the same price US$1.29 while a few songs may cost a little less like $0.99 or $0.69. However, the albums in iTunes Store may have totally different prices from one to another. 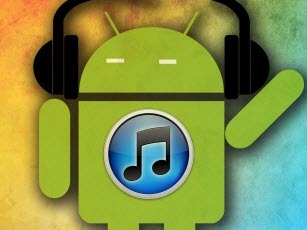 In Google Play, Songs are priced at US$1.29, $0.99, $0.69, and free. Both of music in iTunes Store and Google Play are free of DRM now which means you can copy, edit, and burn songs from the two stores. TV shows and movies purchased or rented from iTunes Store or Google Play are all protected from access them freely. iTunes videos cannot be played on any other devices other than Apple devices. Google play videos can be watched on the Google Play website or via an application on an Android device. iTunes Store is preferable. Why? Because they have a larger storage of movies and TV shows for us to purchase and rent. And the iTunes Store application can be installed on the Laptop so that the purchased or rented movies can be watched on a big screen. What is more, iTunes videos can also be streamed to Apple TV so that they can be enjoyed with our family and friends. However, some people may say iTunes videos cannot be played on Android devices or non-Apple TVs. This actually is an already solved problem. iTunes videos, no matter purchased or rented, can be now played on Android devices or streamed to non-Apple TV. How to play the DRM-protected iTunes videos on non-Apple devices? It is very simple as long as you have M4VGear DRM Media Converter. The DRM Removal Tool can fast and losslessly remove DRM from iTunes purchased and rented videos and convert them to unprotected MP4 which can be played on any other Android devices or streamed to any other TVs. And most important, the subtitles and 5.1 audio of iTunes videos will be saved. 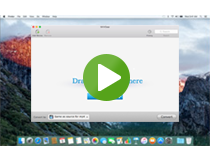 Mac Version and Windows Version of DRM Media Converter are both available to download. Rent or Buy Movie from iTunes, Which Would You Choose to ?